Dining with a flash mob, where to go on Wednesdays, a youth orchestra’s sweet sounds, and a star kangaroo. There are all sorts of ways to entertain yourself at Boston’s luxe new Revere Hotel, but one of the best is this culture and style fete held every Wednesday in the Emerald Lounge. Created in partnership with Future Boston Alliance, it offers an eclectic range of artistic exhibitions and shoppable fashion festivities. Past events have been built around local artists of color, the Kush Groove clothing line, and a sneaker museum. When the parties restart after the holidays, House of Findings and HarborArts will be among those featured. Less Disney-esque, more sophisticated: That was Boston Ballet artistic director Mikko Nissinen’s goal in re-imagining The Nutcracker. Mission accomplished. Award-winning set and costume designer Robert Perdziola emulates the elegant Regency period (think Jane Austen) for Act 1, with the cartoonish Drosselmeier now a heartthrob. Act 2 dazzles with lavish colors, sumptuous fabrics, and 200,000 glistening jewels. The new sets are amazing and the freshened choreography charming. Performances run through December 30. Boston Festival of Indie Games. The implosion of Curt Schilling’s 38 Studios this year taught us that lavish funding can be detrimental to creating fantastic video games. 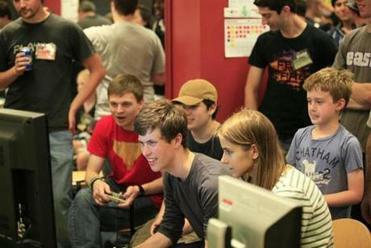 Luckily, the Boston Festival of Indie Games at MIT helped return game development to its DIY home-grown spirit. In September, some 2,000 participants test-drove garden-fresh video games, as well as board and card games, from nearly 50 local and regional upstarts. Talks, film screenings, and an art show rounded out the festival, which is expected to be even bigger when it returns in 2013. Tourists lost in the Revolutionary streets of Boston once stumbled into a dank, outdated National Park visitor center on State Street to find their way. No longer. In May, a fresh, tech-savvy HQ opened in Faneuil Hall, the city’s historical mother ship. Designed and built entirely by local firms, the cheerier digs are chock-full of information kiosks about the Freedom Trail and the Black Heritage Trail, in addition to materials on parks and historic sites throughout Massachusetts. Downloadable smartphone apps and iPad stations let visitors map out custom-designed walking tours, making the center a model for how the Park Service can use technology. Boston Tea Party Ships & Museum. 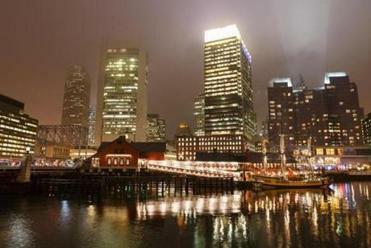 Twelve years after a fire destroyed the original museum, it finally reopened in June at a floating site on the Congress Street Bridge, spitting distance from the site of the actual Boston Tea Party. The fleet of restored ships was expanded to three—although the third won’t arrive until late 2013— and a tearoom was added. Actors dressed in period costume and high-tech interactive exhibits fill in the gaps on the events of December 16, 1773—in fact, a major reenactment is scheduled for today. Perhaps best of all, guests at the museum can stick feathers in their hair and toss replica tea crates into the water. Huzzah! It’s a flash mob with a French twist. In August, nearly 800 picnickers clad all in white gathered in Harborpark at Moakley Courthouse for Boston’s first-ever Le Diner en Blanc. The pop-up event, where diners bring white chairs, a 30-inch table, decorations, and baskets to a surprise location for dinner, originated in Paris more than 20 years ago and has been spreading around the world. 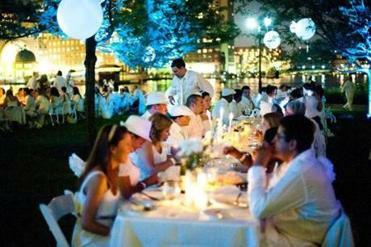 Organizers say Le Diner en Blanc will return to Boston next summer in another secret location. Learn about a neighborhood by eating your way through it in this gourmand’s take on a pub crawl. For $39, Dishcrawl participants walk between four diverse restaurants in one evening, sampling key menu items while hearing a few words from the chefs behind them. The region’s first event was held in November and focused on the South End, leading folks from Darryl’s Corner Bar & Kitchen to Jae’s Cafe and Grill, Addis Red Sea Ethiopian Restaurant, and the Beehive. Additional crawls for 2013 are in the early stages of planning. Good manners don’t need to be stuffy. That’s the theory behind The Etiquette Academy of New England, a Brookline school founded by Snezana Pejic, who was trained in royal protocol as a staff member for the late King Hussein of Jordan. “When you make it interesting, kids really want to learn new things,” she says. Classes for children 7 and older — which cover topics like table manners, conversation, and letter writing — begin at $165. For adults, group programs on job hunting or making small talk start at $175. Back in October, eagle-eyed Franklin Park Zoo staff members noticed that Skippy the kangaroo had a joey peering out of her pouch. The baby won’t fully emerge until it’s 8 or 9 months old — sometime in early January — and that’s when the zoo will identify its gender and name it. Visitors can usually see Skippy (and, with any luck, baby) when the weather is right, usually above 40 degrees and clear. Also check out the zoo’s 10,000-square-foot revamped playground, full of animal-inspired slides, climbers, and swings. It was designed with input from parents and folks who work with children with special needs. The new wing of the Isabella Stewart Gardner Museum. 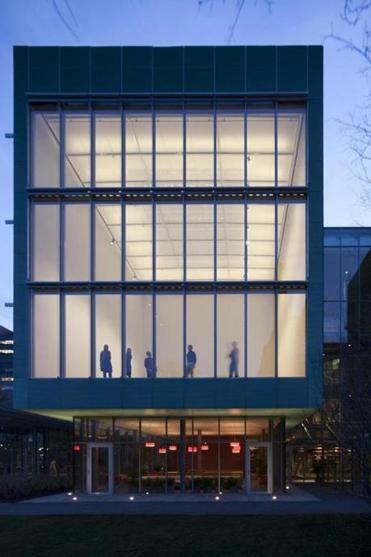 The outward character of the Isabella Stewart Gardner Museum changed massively this year with the addition of a wing designed by Italian architect Renzo Piano. Taking pressure off Mrs. Gardner’s original, eccentric palazzo, the building has absorbed the cafe, shop, and concert hall, houses artists’ studios and a conservation lab, and has space for special exhibitions. The new wing — sleek and transparent, yet also cozy and lived-in — is connected to the original building by a covered glass walkway. Pass through it and the old magic of the museum remains. You can put your name on a waiting list here, but the main point of the “gallery” is to spread the word about electric cars to the eco-inquisitive. The staff encourages customers to sit in the driver’s seat of a real battery-powered Model S for a demo, while kids and others can make use of the touch screens along the walls. Those in the shopping mood can buy some branded clothing and accessories. Athletes and coaches no longer have to be on the same field every day, thanks to this free app developed by a Downtown Crossing-based start-up. Users shoot sharable videos on an iPhone or iPad, then, employing slow motion, pore over errors in form. Feedback comes via virtual markups and audio instruction. With more than 800,000 downloads, the app received prominent attention this year when US teams like women’s volleyball and women’s gymnastics used it to train for the London Olympics.